Doing the packing for one of my trips, I wasn’t sure if I should take my apron or no. It found a small place in my suitcase and on my way, I arrived in Seattle. On the first night, my business dinner was re-scheduled to the next day for lunch. This gave me a precious free evening. 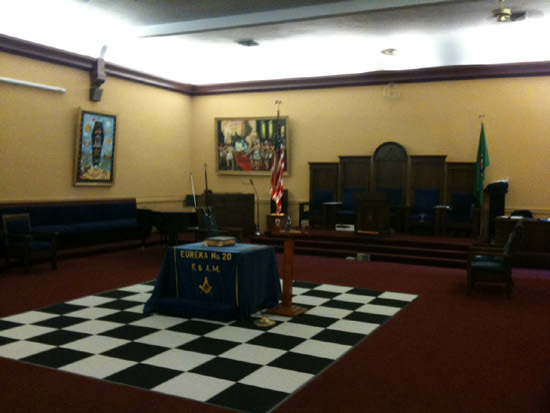 At that point, having not contacted the GL of CA for official presentation, I just searched the web to find lodges around the Seattle area. 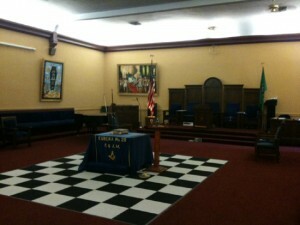 After reaching out to the Secretary, I presented myself at the Green Lake Masonic Temple. There, after pushing the door, I moved upstairs where all the Brethren were having dinner. After a brief chat, the WM verified my credentials and invited me for dinner. Little to say, this is quite an interesting lodge. Brethren from all nationalities are there, Korea, Turkey, Germany, etc…and also it is a family affair, with the current WM having his brother, father and nephew being members of the lodge. And in a funny twist, their Inspector (aka District Deputy Grand Master) was also there as well as the Grand Tiler. After chatting with the Inspector (VW Bro Richie), we discovered we had a lot of common contacts around Europe. This was quite fun. They also assisted at the visit of MW Ken Nagel few years back. Another thing that also got my attention was beautiful paintings which were made by a local brother. The representations of the 3 degrees symbols, especially the 3rd one were mesmerizing. I was received and introduced with a battery of 3 and presented the lapel pin of GL and coin from Peninsula 168 to the WM and the VW District GM. In return, they presented me their own tokens of appreciation. Trying to find a taxi for my return to the hotel, a brother offered me to give me a ride. Half way to the hotel, I told him I hoped he was not going out of his way. He laughed and said he lived actually the opposite direction but I would not have found a cab that night and the walk was long. 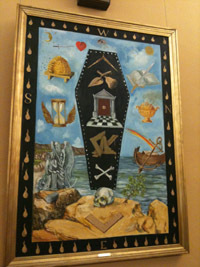 That’s what Masons do. Going out of their way and brushing the effort required with a joke. Good laugh to end a nice evening. I am sure glad I took my apron that morning. On another note, Eureka #20 also has the distinguished privilege of being a Mark Twain Award in 2008 for their effort in the community and sciences fair for youth. 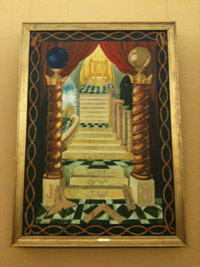 Freemasonry in Washington began with Olympia #1 Lodge in 1852. 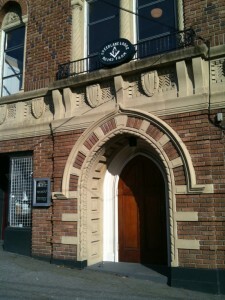 The first lodge in Seattle was St Johns #9, chartered in 1860. 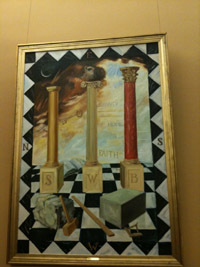 Eureka #20 Lodge was chartered on September 4, 1873. 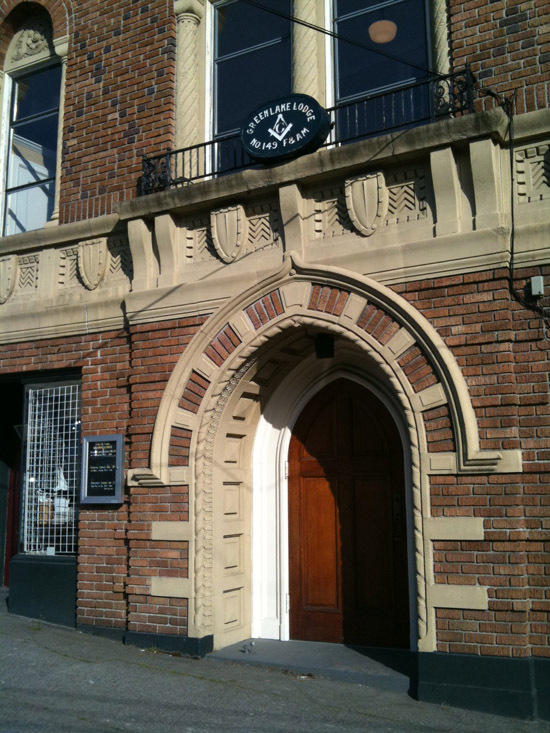 Eureka met in several locations before the Main Masonic Temple was completed in 1916 at Harvard and East Pine streets in Seattle, which became the home for Eureka for the next 53 years. Submitted by Wor. Sebastien Taveau, P.M.